Applications are invited from the eligible candidates (Indian Nationals only) in prescribed format for the following contractual posts for Ministry of Health & Family Welfare, Govt. 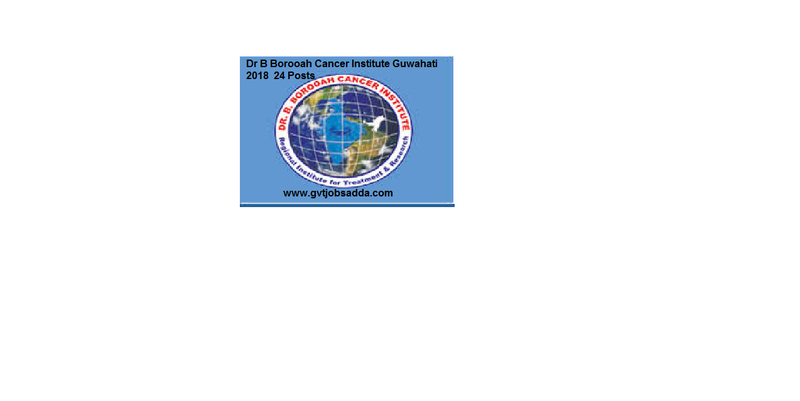 of India sponsored project “Regional Satellite Center of Tobacco Quitline Services at Dr B Borooah Cancer Institute, Guwahati”.Those candidates who are interested in the vacancy and illegible, they can read notification and apply. i. Graduation in psychology / social work from recognized university. ii. The person should be fluent in speaking / writing Hindi & English . For more detailed information about Education Qualification in Dr Bhubaneswar Borooah Cancer Institute Recruitment candidates check the official notification. How To Apply : Interested and eligible candidates may submit their application in prescribed format as attached with personal CV through e-mail to “[email protected] Incomplete applications will not be considered.